We all know that Google makes hundreds of changes annually to their search algorithm, web properties, etc. And, ever since online reviews have risen in importance in the last half decade, Google has made a number of adjustments to improve the user experience when accessing reviews. And in case you missed it, we wanted to give a rundown of 4 tweaks Google has made this year that directly impact online reviews. Earlier this year, Google changed the calculation method used to generate the average star rating. 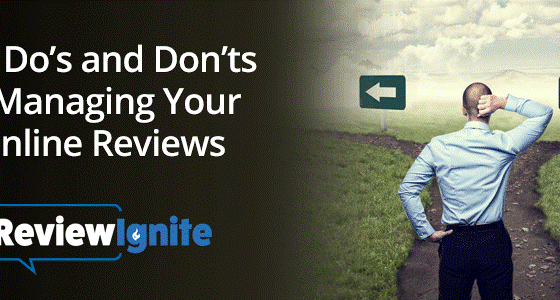 In the past, your company could have all 5 star reviews, but receive an average of say 4.8 stars. This is because Google was using the Bayesian Average to determine the average star rating for firms with a small number of reviews. Google’s intention for using this method was to include a larger data set of all businesses to come up with a more realistic average star rating. While this might have been the right approach from a statistical standpoint, the result was lots of confusion and complaints. Consumers thought businesses were being deceptive and businesses with star ratings that didn’t add up thought Google was making a mistake. The good news is that Google is now using a simple average to calculate your average star rating. Having those gold stars and numeric average show up in Google search results can make all the difference in winning the customer. 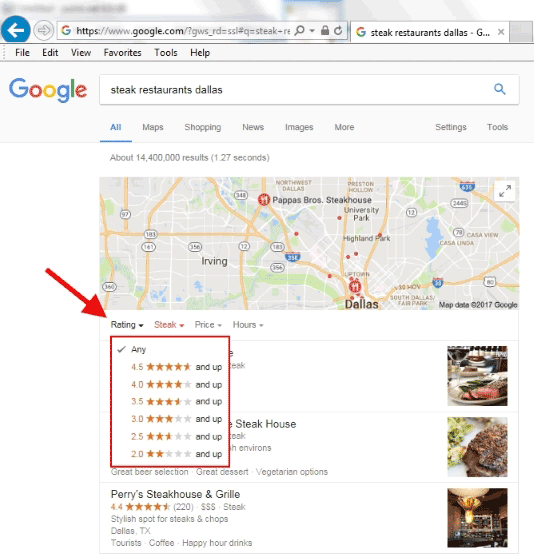 Before, Google required businesses to get 5 reviews in order to generate and display an average star rating. If you had say 3 (or no) reviews, there would be no average star rating. Your business would show up in search results with text next your business name that would say something like “3 Reviews” or “No Reviews”. With the recent change, a business can have as few as one review and Google will display the star rating graphic. 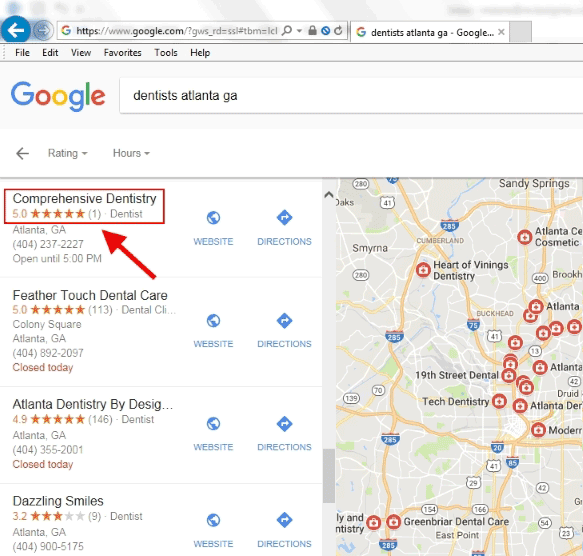 When searching for local businesses, Google now allows visitors to quickly filter search results based on their average star rating. This feature is located on the menu just below the map image. The first item is “Rating”. When you click on the word a drop-down list of star rating options appears. A Google searcher simply selects the rating filter they want and the results will display based on that rating group. It is well-known that Google keeps details regarding how their search algorithm works close to the vest. However, that has not stopped SEO experts from studying how the search giant prioritizes search data to see who gets on page one and who doesn’t. 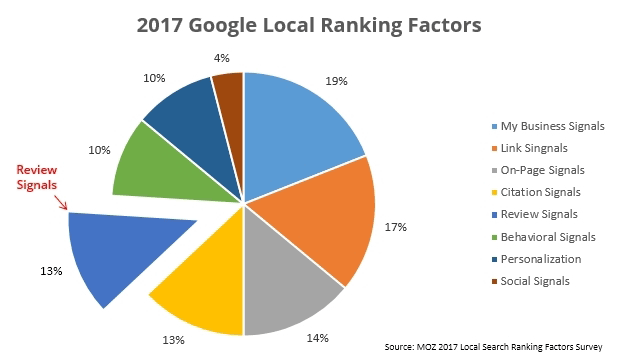 Every year, a survey of the top SEO minds is conducted to rank more than 100 factors regarding their influence local search. In the latest 2017 Local Search Ranking Factors Study, “Review Signals” have increased in importance. Review signals (which encompasses review quantity, review velocity, review diversity, etc.) went from 10.8% in 2015 to 13.13% in 2017. This is an increase of 21.53%. The largest increase for any of the local search ranking factor categories in the study. This is a clear indication that Google’s customers (basically everyone), puts a high value on the importance of online reviews. 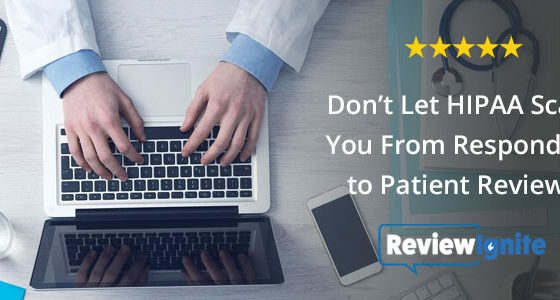 These changes are good news for both businesses and consumers alike, and further demonstrate the importance of online reviews to consumers for researching businesses and making purchase decisions. This is also a reminder for businesses to “Google” yourself on a regular basis to see how your business appears in search results. And, don’t forget to check and update your company’s Google My Business listing. For many prospects, this is their first impression of your company. So make it a great one! 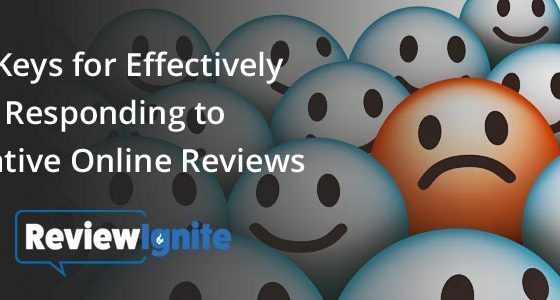 ReviewIgnite’s online review management platform can help you leverage your online reviews to improve your reputation and increase sales. Click on the link below to request your free demo today!